I only have a swatch for you today...but not just ANY swatch...a Dior swatch. 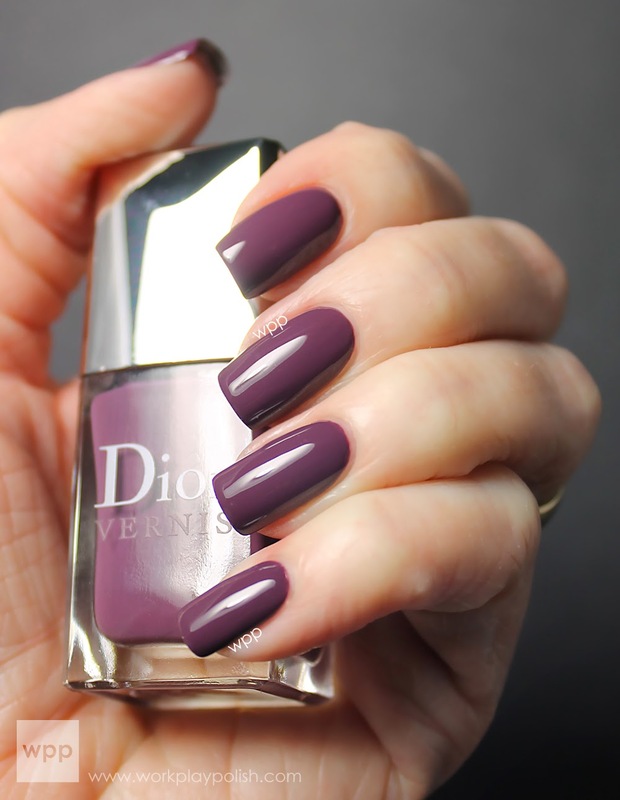 I adore Dior Vernis but have managed to keep my impulses to buy in-check. That is until I saw this post from Victoria at the manicurator. I died a little inside. 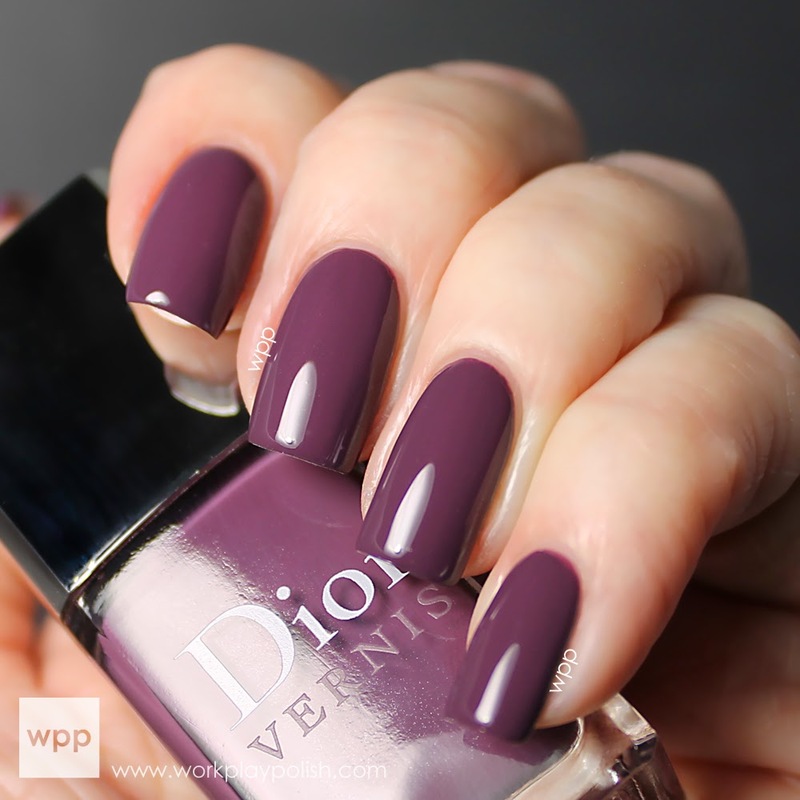 I finally relented this weekend at Sephora and picked up Dior Vernis (887) Purple Mix, a smoky plum with Dior's trademark ultra-glossy finish. This is gorgeous. Trust me. This shade was released in 2011 as part of the limited edition Rock Your Nails Collection. Purple Mix is still available, so it must have made it to the permanent line. It's quite a bit darker in low, indoor light...almost vampy, but still beautiful. You know how it feels to write on an inflated rubber balloon with a ball-point pen? (C'mon, admit it...you know what I'm talking about. You like it.) Well that's exactly how the Dior formula feels as you apply it to the the nail. It's just so smooth and easy and I'm getting more adept at using their new wider brush in spite of my narrow nail beds. My only gripe this time is it took three coats for full coverage. If I'd been a little more heavy-handed I could have maybe gotten away with two. Isn't it amazing?? I can't stop looking at my nails! I want them all. Every one of them. You can purchase Dior nail lacquers on the Dior website and also at Macy's, Sephora, Nordstrom and other department stores. Retail: $24 for a 10ml bottle. It's steep, but worth it.